Why are my folder shares not working on MS clustered servers? 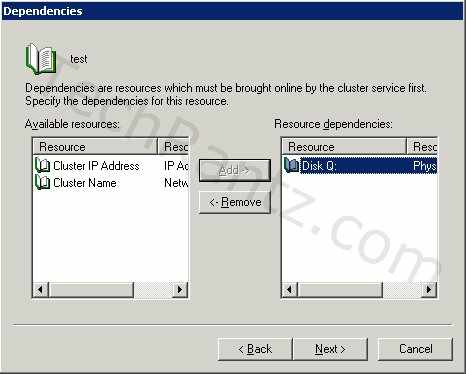 Folder/File shares in MS clustered servers should not be done the same way as normal file shares. Case in point: Few months back, I setup a pair of servers for MS cluster. Application team sent in some requests for folder sharing, which I did using the normal explorer method. On a few occasions, the application team had feedback that the shares were missing. When I went in to check, the folders were missing the "hand" icon to indicate they were shared. Everytime I reshared again, the application team will report the same issue a few days later. It was puzzling to say the least. So I did some investigation and found that everytime the cluster active node fails over to the second node, the shares will be gone. 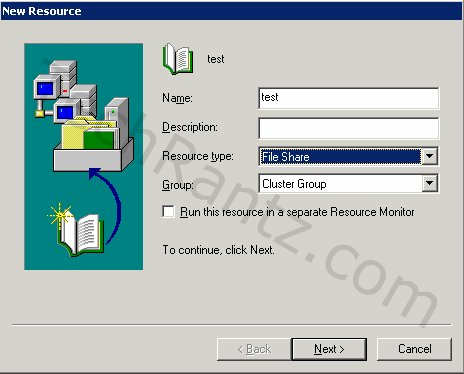 So further research gave the answer - that file shares in clusters should be treated as a type of resource and should be done through "File Share" resource in Cluster Administrator. Mystery solved and after implementing the file shares in Cluster Administrator, the issue never came back anymore. 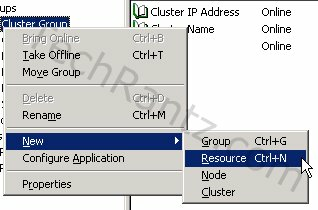 Ensure that the selected "Group" is correct and click "Next"
In the "Possible Owners" window, ensure all the nodes are listed in the right side box and click "Next"
In the "Dependencies" window, ensure the correct disk drive which contains the file share is selected and click "Next"
Specify the sharing "Permissions" as per request and click "Finish"
The folder will be listed as a "File Share" resource in the Cluster Administration and will remain even after cluster node swings. How do I find an account with the SID?